We use our smart devices for pretty much everything these days, from getting directions to playing games just to kill time. They're extremely important to our daily routine, and as we use our devices more and more, things get a little bit messy. Having tons of apps, contacts, music, and files makes it increasingly hard to find the thing you need on your Android device, but Google has you covered. They've developed a nifty little app called "Gesture Search" that allows you to quickly search your entire device by simply drawing on it. 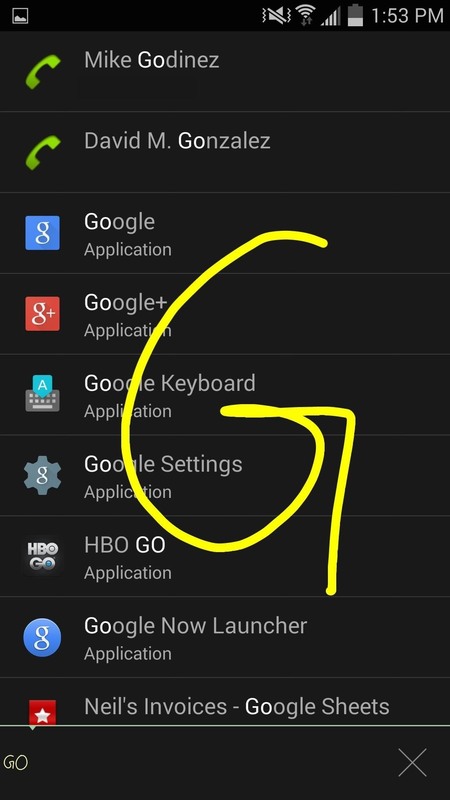 Whether you're using an Android phone or tablet, head over to the Play Store and install Google Gesture Search for free. 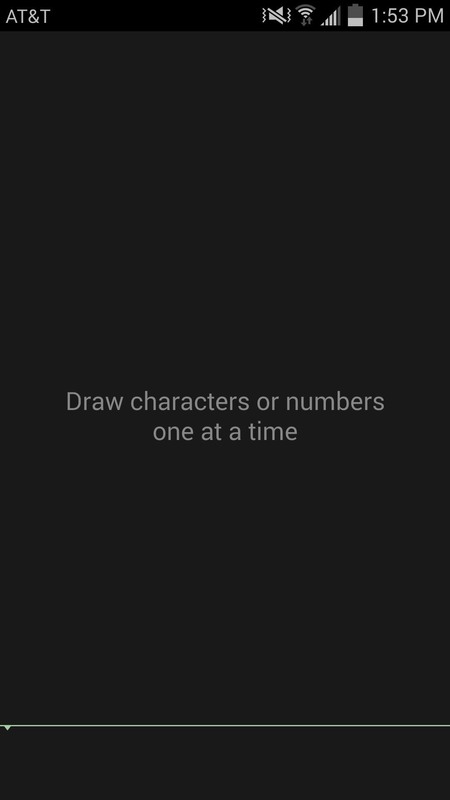 Upon launching Gesture Search, you'll need to agree to the terms, then you will have to specify what "searchable items" you want the app to look for when drawing on the screen. 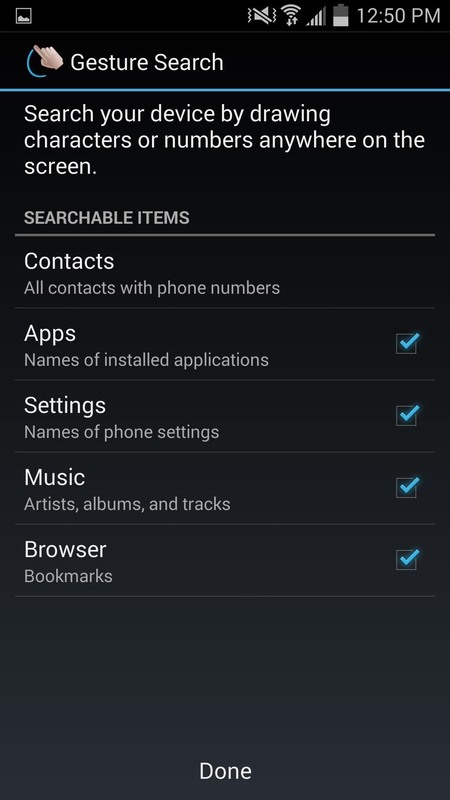 These items include apps, browser bookmarks, contacts, music, and settings. Once the searchable items load up, simply start writing letters on the screen with your finger or stylus and watch the results populate. Looking for a Google app? Start spelling it out: G-O-O-G-L-E. Unfortunately, this app does not work on your home screen or in other apps; you have to have Gesture Search open to draw on the screen. 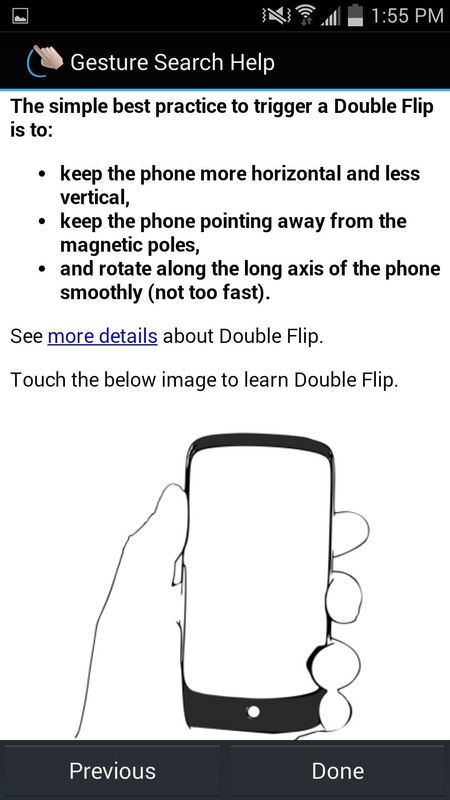 But, through use of one of the app's settings, you can activate and adjust the sensitivity of the "Double Flip" gesture. 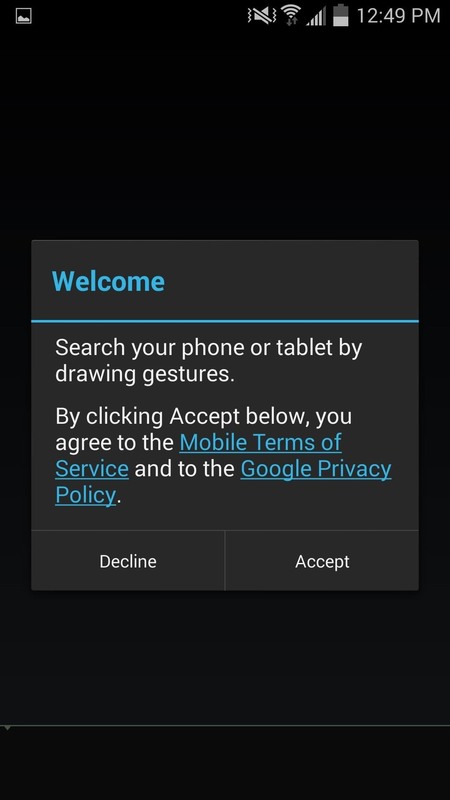 This gesture allows you to flip your device away from your face to quickly bring up the Gesture Search screen. The only downside? It's not guaranteed to work on every Android device, so it may or may not work for you. 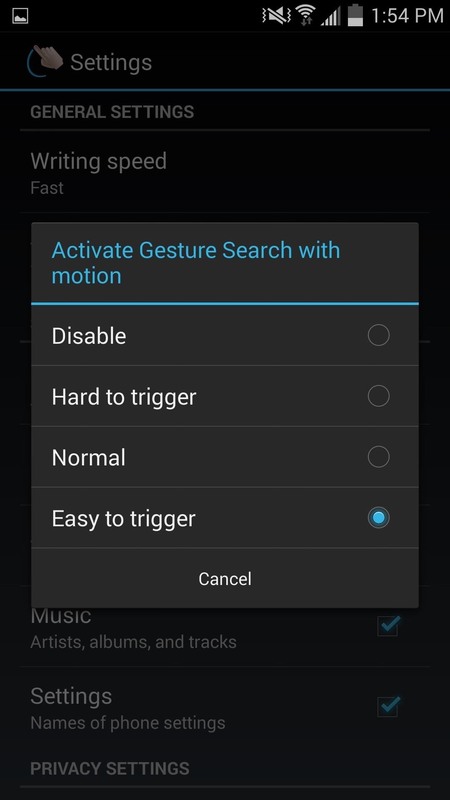 Now that you know about Google's Gesture Search, find out how you can tweak your Google Now Gesture to launch any app you want. Let us know what you think of the app by commenting below, and catch up with us over on Facebook, Google+, or Twitter for more Android tips.